From a very young age I was a seeker needing answers to the big questions of LIFE. I needed to know, “What is it all about?” Life has to mean something, suffering must have a purpose. Otherwise how is it worth living? Yet in the face of the grandeur and beauty of the living Universe something within me knew it is significant and purposeful. Something big is going on here; a great mystery that called me to penetrate it. I found the Pathwork when I was 34. For 30 years now it has been my guiding light, helping me get the most out of every life experience I encounter and answering the burning questions in my soul. More than just a philosophy, the Pathwork was a process that helped me learn to find the answers within myself through direct experience. Here are some of my conclusions . . . . (I write this so others might be drawn into their own inner exploration through this work.) The journey of life seems to ask us to go through a lot. The medicine wheel of life takes us from new beginnings as helpless infants through an ascendancy of power and creativity, but inevitably we round the turn and are looking at diminishment again, at least in terms or our physical capacities. Yet this very cycle appears to be the way our consciousness deeply embodies its own evolution. Physically evolution requires this Life & Death approach. Perhaps it is the same principle on the spiritual level. Is there a key in learning how to die? Besides our physical death there are the little everyday deaths that we encounter, disappointment, limitation, or unexpected loss. In those exact same moments there is beauty and grace all around us as well. How can we meet such a life, how can we embrace these profound and intense realities, good and bad, that life offers up usually to our total surprise? Often as humans we try rejecting what is and striving for something else. This keeps us endlessly dissatisfied in life. The way of dying into life, allows us to have the capacity to hold life as it is so we can play our part to allow Nature to transform it. The Pathwork lectures say, happiness is not something attained through outer circumstances. Our responsibility is to be able to respond from the highest place we can, no matter what life brings. This is what grows us. Life is not a vacation, it is an initiation. We obviously came here to die. We do not like this answer. Where is the instruction manual? How can we follow a path through a house of mirrors. Life is not a simple mechanical puzzle but the most profound koan we can contemplate. At the beginning of the Dying into Life Workshop, we all sit in the Tree of Life, as souls high up in the branches before we were born, waiting there until we feel moved to descend and take on another challenging but potentially very fruitful experience here on earth? If you imagine this you too will feel the greatness of your soul that brought you here. As humans we are a space of profoundly sensitive awareness. We behold life in all its awesome and terrifying mystery and we are not sure how to be with it, how to face it, how to dance with it, especially when it seems to include the hardest things we could imagine. The Pathwork lectures are great maps for the journey. This is what the Pathwork Mystery School, Dying into Life, is all about. We cannot fully live if we are afraid of death. Any death, little or big that we defend against, is also a barrier to love and life. To become our fullest self, is to feel all our feelings, is to recognize and welcome our shadow, is to accept our fate and turn it into destiny, is to use everything that life gives us as grist for polishing the precious gem stone of our inner being. The tools of awareness and transformation to do this are found in the spiritual discourses of the Pathwork Lectures. It brings great depth of understanding into every moment of living and dying. A Mystery School is an experiential learning environment that explores our own mortality and the contemplation of the great mystery of our own life and death. It works like a lens to focus ourselves on what really matters, and to complete what is still eating away at us that we keep trying to avoid. 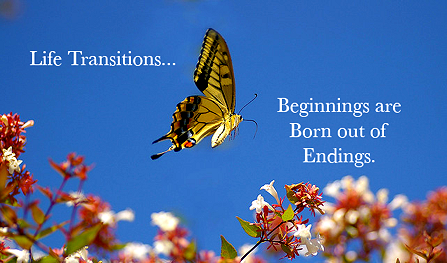 It is an opportunity to examine the story and to step beyond this story into transpersonal and unitive states, where we glimpse our eternal nature. In many spiritual traditions there are practices for meditating on death. Vision quests and initiation rites are all forms of exploring death before we die, so we can live more fully. Through these passage rites we face and grow beyond our defensive structures to embrace the beautiful mystery that life and death are. The Pathwork teachings are ultimately all about this very process, so a Pathwork Mystery School is a wonderful way to take these teaching more deeply into your life. Consider what it would be like to embark on a 9 month program where you explore your life from the perspective of your impending death; where you explore your current story in a way that lets you see yourself more clearly and helps you live your story without being so attached to it. You learn to identify with your spiritual light, the you that is an expression of this Great Mystery itself and you learn to hold with compassion all the pain and struggles around you including your own. I have had the great pleasure to have taught this Mystery School for the graduating year of the Mid-Atlantic Transformation Program for over 10 years. It is the perfect format for truly learning to die into life. It has evolved and deepened over the years. I believe it is a theme that is especially relevant to our current times. I will be offering this program at Sevenoaks starting with the first 4 day residential gathering September 21-25, 2016. The other three weekends are listed below. On the third weekend in March, you will undergo a ritual death and rebirth experience. After having examined your story, your life up to now, and having asked who you are beyond the story, you are given some great Pathwork tools for living and dying and then you will be reborn back into this life from a very different perspective. This is a great program for many people: the baby boomers who are helping with aging parents and facing their own mortality; the many people who work for the ill, aging and dying such as hospice nurses and other care-givers; the person dealing with the “death” of the midlife crises, a divorce or other loss, the younger person who is looking for the answers to the big questions of life. This is a great continuing education opportunity for Pathworkers from other regions. I would invite them to create their own similar program after experiencing this with me. People will need to have some experience with inner work. This program will evoke deep emotional work and shadow work. Participants also should have some contemplative practice or meditation experience. You will also have ongoing individual sessions with a helper and in between teleconference classes with the group. There is another program for people who are brand new to this work. Please check out the Pathwork of Transformation Program at Sevenoaks. So if you like the sound of this, get in touch with me and get on the list, even if you are not sure you qualify. There will be an interview and a qualifying weekend might also be recommended for people new to inner experiential explorations and working with feelings. and registration will be up shortly at sevenoaks.org. ” What I want my God, by a reversal of forces which you alone can bring about, is that my terror in the face of the nameless changes destined to renew my being, may be turned into an overwhelming joy at being transformed into you; Teilhard de Chardin, Hymn of the Universe.